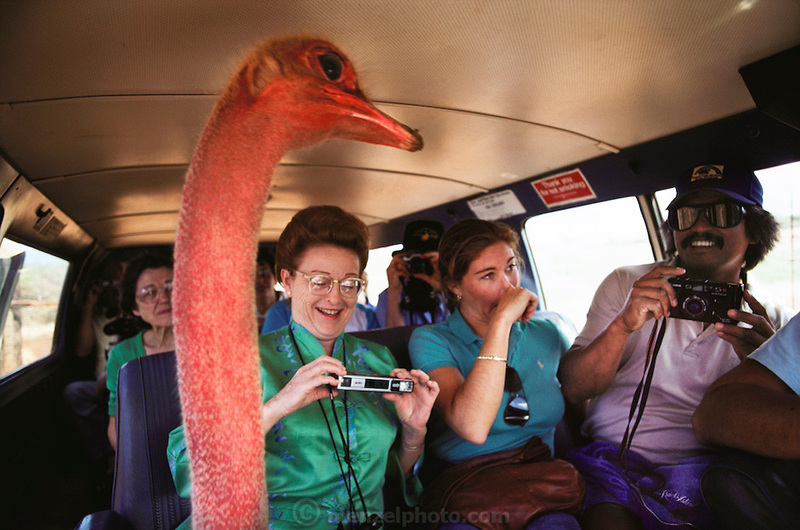 A gregarious ostrich pleases tourists at Molokai Ranch Wildlife Park, a 1,000-acre wildlife park on Molokai, Hawaii. USA. The ostrich sticks his head in the open door of a van full of tourists.